or send us your info. You’ll Get A Fair Offer – You Choose The Closing Date. We Pay All Costs. 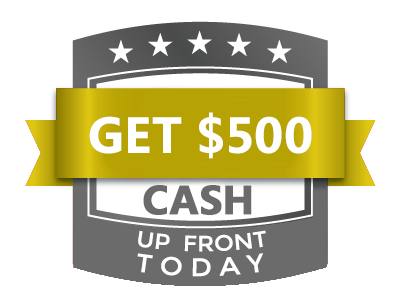 Get $500 Up Front Cash Today – only from Florida Home Buyers! We are BBB Accredited and A+ rated. As the leading home buyer in Florida, we provide homeowners solutions to their property challenges. Stop the frustration of owning your unwanted property. Let us purchase your Florida house now, regardless of condition. It doesn’t matter whether you live in the property, rent it out, it’s vacant, or not even habitable. We help owners who have inherited unwanted property, own a vacant house, are behind on payments, owe liens, downsized and can’t sell… even if the house needs repairs that you can’t afford. And yes, even if the house is fire damaged or has bad rental tenants. Basically, if you have a property and need to sell – we buy houses and would like to make you a fair cash offer and close on it when you’re ready to sell. We Can Help With Any Real Estate Situation! As experienced Florida Home Buyers, We’ll know very quickly if we can help you, and unlike selling through an agent (with their expensive fees), you don’t have to wait to see if the buyer can get financing. We’re ready to buy right now and we pay cash for houses! 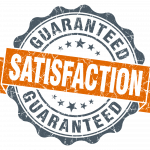 Our goal is to help make your life easier and get you out from under the property that’s causing distress – while still paying a fast, fair, and honest price for your house. We help property owners just like you, in all kinds of situations – to avoid foreclosure, deal with divorce or a death in the family, sell burdensome rental property, and many other challenging situations.